TechEd 2010 was held last week in New Orleans. There seemed to be a big turn out this year in the Big Easy, and the conference provided some good information. Microsoft was definitely pushing the Cloud this year with its Windows Azure, SQL Azure, and AppFabric products. All looked interesting, but it was never clear to me how much it costs to have Microsoft host your apps and database. Another topic of interest to me was Windows Phone 7 (WP7). Unfortunately, it is not capable of supporting sophisticated applications like Pocket GTViewer in its October debut. I wrote about what is missing from WP7 in another post. While we (GTI) should easily be able to interface with GTWeb from a WP7 device using a slick Silverlight app, WP7 is not capable of running Pocket GTViewer or GTField for Windows Mobile.WP7 cannot access large data files (such as a .gtx on a SD card), and it can’t use native code (our raster libraries from ECW are native as well as a good chunk of code shared with the desktop version of GTViewer). There are also issues with having to load apps through the Microsoft Marketplace, no interaction with the desktop via RAPI, and no custom TrueType font support. Microsoft admitted that WP7 was a rush job so that they could to get it to the market this year and may have more essential functionality rolled into it with later versions. Nevertheless, it is a radically different platform from Windows Mobile and may very well open up a door to new and different applications (while at the same time closing the door to applications we are using today). On the pure development front, there are many good things that I saw like the Task Parallel Library that will make getting the most out of multi-core processors easier. Also, Silverlight 4, Expression Blend 4, and Visual Studio 2010 finally look good enough in respect to WPF to leave Windows Forms behind (at least for new development). Mark Russinovich gave an excellent presentation on the Unexplained such as slow running machines and crashes. Anyone with unexplained machine problems would have benefited from this presentation (search his blog for some of the same information). Next year, TechEd 2011 is in Atlanta. GTViewer version 9.0.1.11 is available. - FIX - #6315 - Scaling for Prints was not correct when the view was near the same size for height and width. - NEW - #6316 - PrintViewRange added to Set/GetPrintProperties. Allows a comma delimited computed coordinate range to be specified for the print view range. - NEW - #6317 - UserRangeMaskAsPrintViewRange added to Set/GetPrintProperties. Set set to 1, it will use the Range Mask as the Print View range. - FIX - #6322 - Fixes to the UpdateElement method using the UpdateElementSetLinkage instructions. Problem introduced with #6312. - NEW - #6343 - MaxRecordsReturned can now be defined in the Additional Properties section and the addprop.ini. - NEW - #6357 - Element Tab will show font name in Style Info sections. 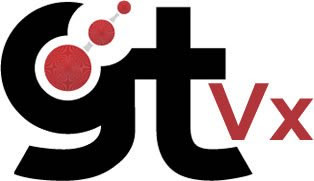 Version 9.0.1.3 of GTVx is available. - NEW - #6318 - PrintViewRange Print Property can now be reset by setting the value to an empty string. - NEW - #6319 - UserRangeMaskAsPrintViewRange added to Set/GetPrintProperties. Set set to 1, it will use the Range Mask as the Print View range. instructions. Problem introduced with #6312. - NEW - #6344 - MaxRecordsReturned can now be defined in the Additional Properties section and the addprop.ini. - NEW - #6358 - Element Tab will show font name in Style Info sections.